The last few months have been absolutely manic with work – 50 hour weeks being the norm and lots of travelling spending most of my week nights in various hotels which is not good for the figure or my sanity. Sewing and crafty stuff has been confined to the weekends – mostly Sundays as Saturdays are spent catching up on washing and general household chores. I have been busy making stuff but it comes down to a choice between making things or blogging about them and the former usually wins. However, I have a week’s holiday now and am off tomorrow on a narrow boat on the Grand Union Canal (I know – must be mad in this weather) for 3 nights but thought I would drop ina quick post just to let people know that 1. I am still alive and 2. I am still crafting. As you may already know I am always keen to try new things – something will stimulate my interest and I want to have a go. The last few months I have gone from flower making which provoked an interest in beading – french beading in particular then to corsages, bouquets and then jewellery making is the latest interest. Perhaps later posts will include details on my journey to where I am now but I wanted to share these simple nested rings with you. To make these rings you just need some 20 gauge wire (0.8mm), some beads, a pair of round nose pliers and a pair of flat nose pliers as well as a ring mandrel. I had a couple of false starts but once I got the hang of it I could knock one out in about 5 minutes. 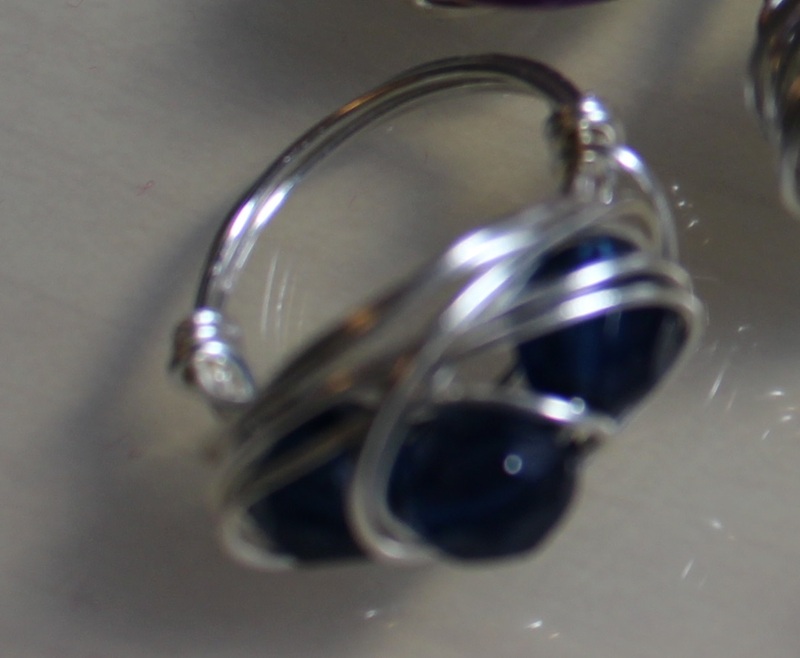 I started with a single bead and then progressed onto a 3 bead ring as shown above in the right hand side of the image. I then experimented with nesting 3 beads for a real knuckle duster of a ring – known as a cocktail ring but certainly something that can’t be missed on your finger! These are great ideas for a fund raiser as they are very cheap to make and very effective. Butterick 6099 – a right royal tussle! Sewing for the modern girl.